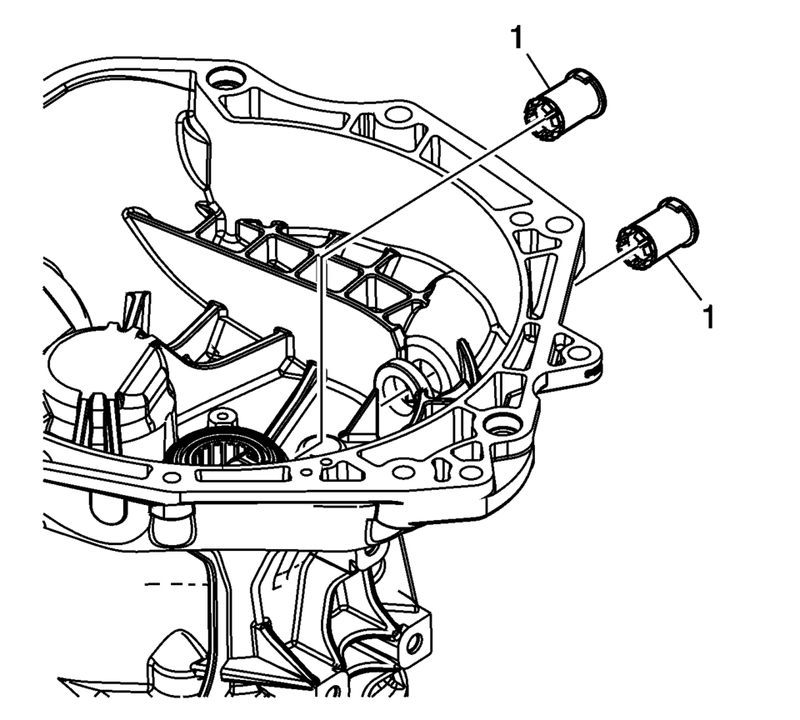 Remove the vehicle speed sensor bolt (1) and vehicle speed sensor assembly (2). Remove and discard the vehicle speed sensor O-ring seal (3). Remove the transmission magnet (1). 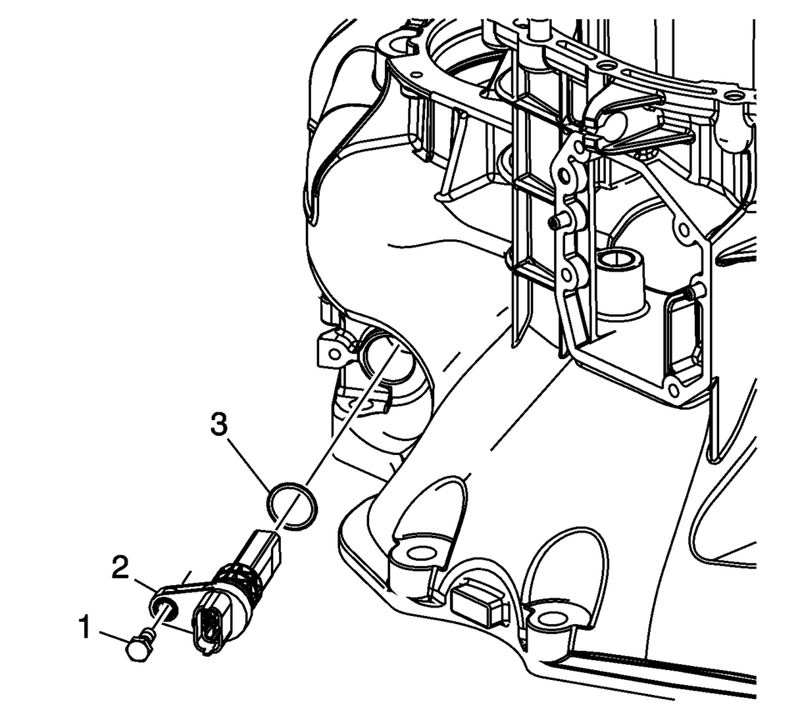 Using the T-0207928 retainer remover (3) with the M-680770 sliding mallet (2) remove the front wheel drive shaft oil seal assembly (1). Remove the clutch yoke shaft bushings (1). 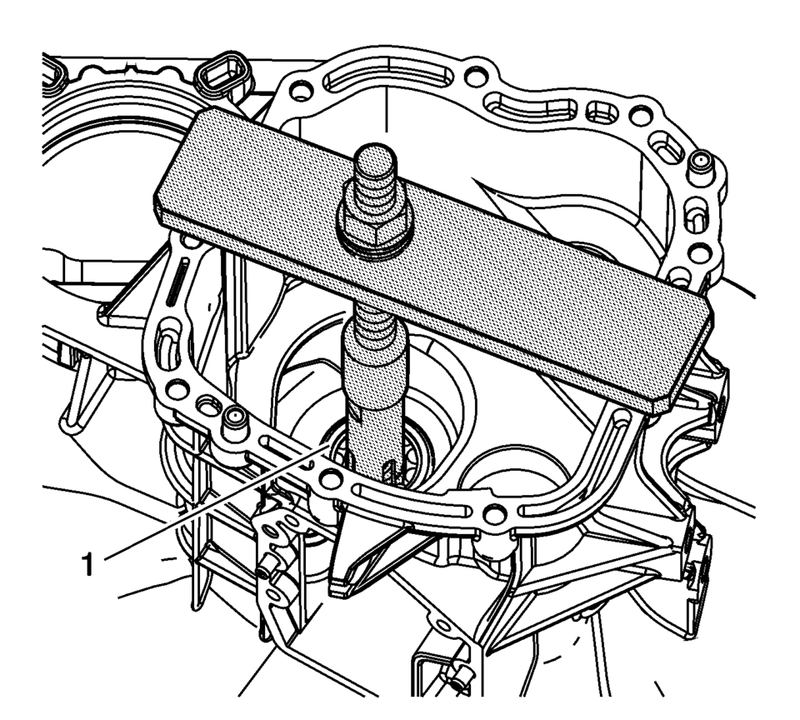 Remove the clutch release bearing collar bolt (1). 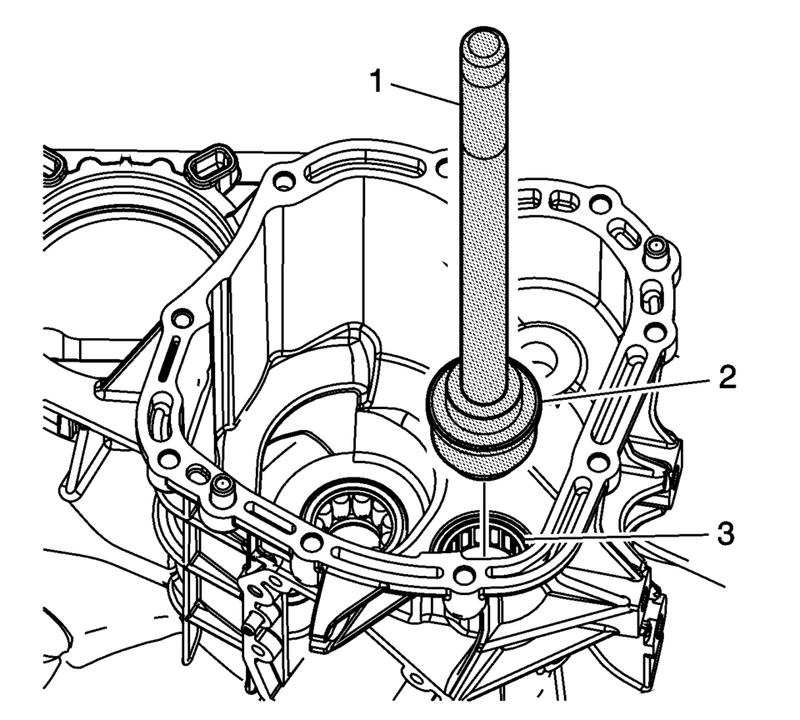 Remove the clutch release bearing collar (2). 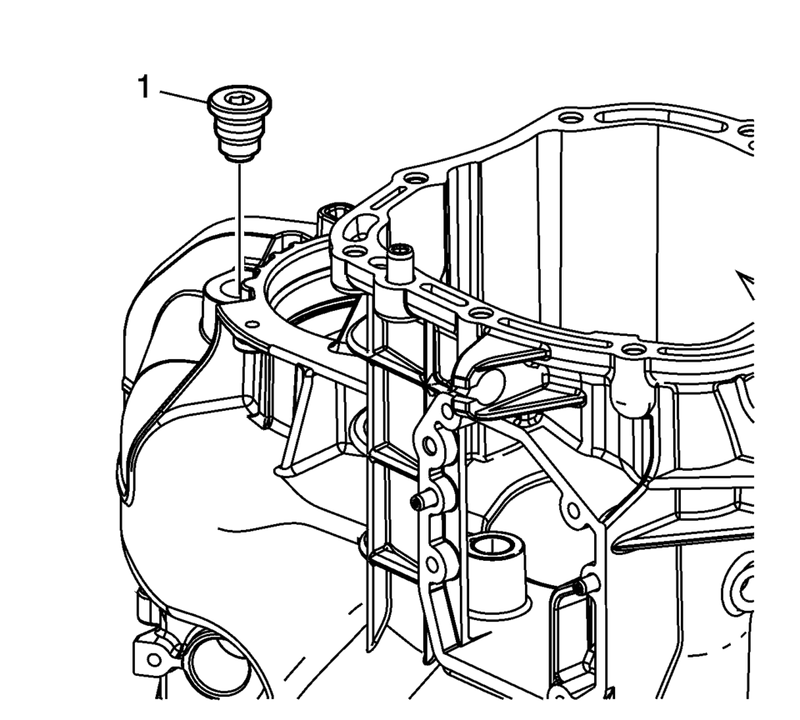 Remove the clutch release bearing collar O-ring seal (3). 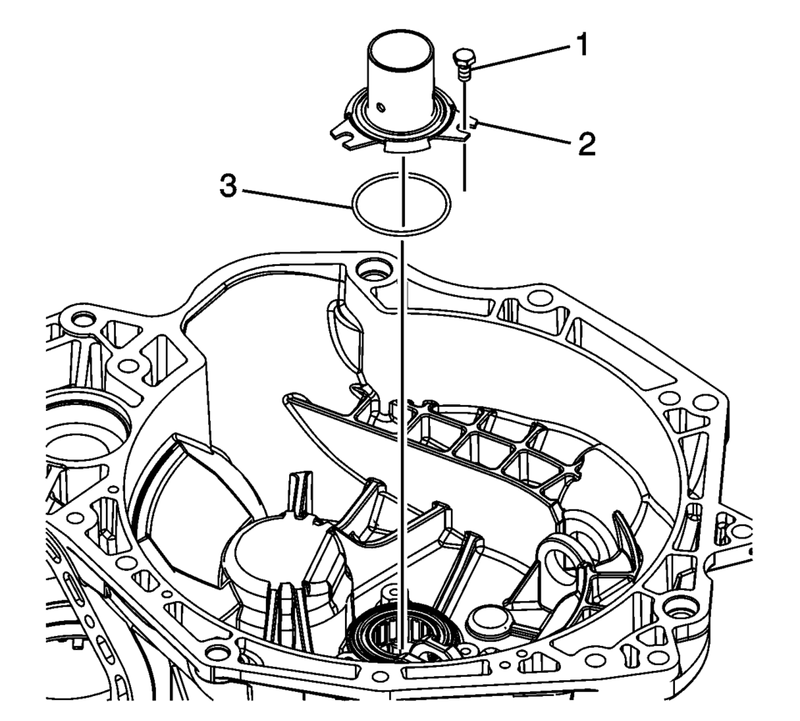 Remove the input shaft front bearing assembly (3) using the R-0407010 driver (2) and the R-0007761 handle (1). 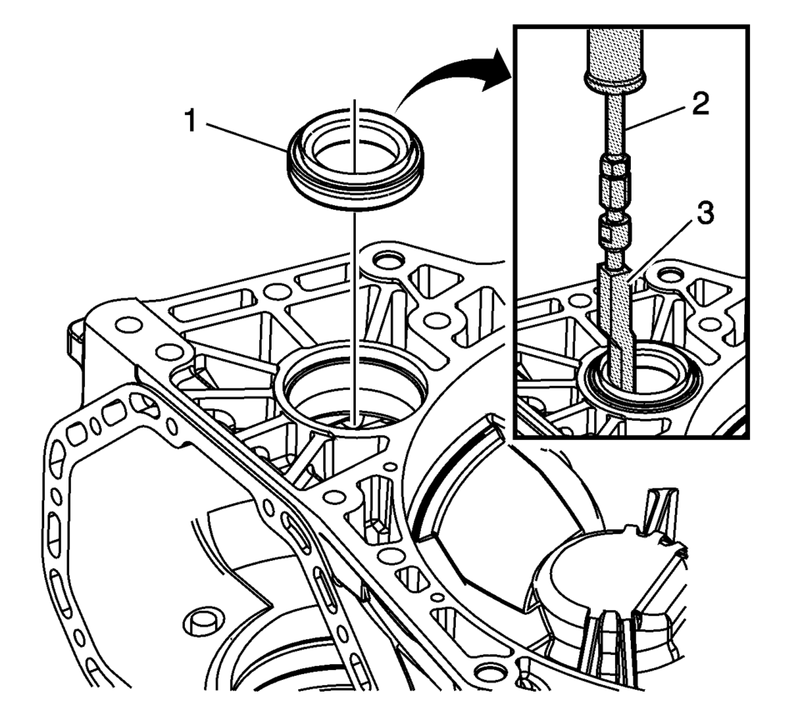 Remove the main shaft front bearing assembly (1) using the R-0407008 remover . 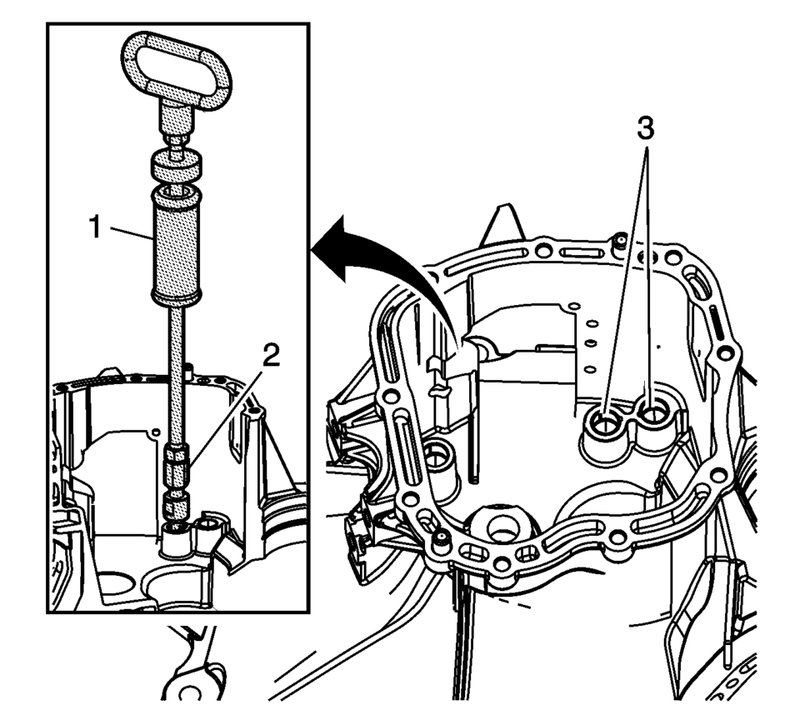 Remove the shift shaft bushings (3) using the R-0407013 puller (2) and the M-680770 mallet (1). 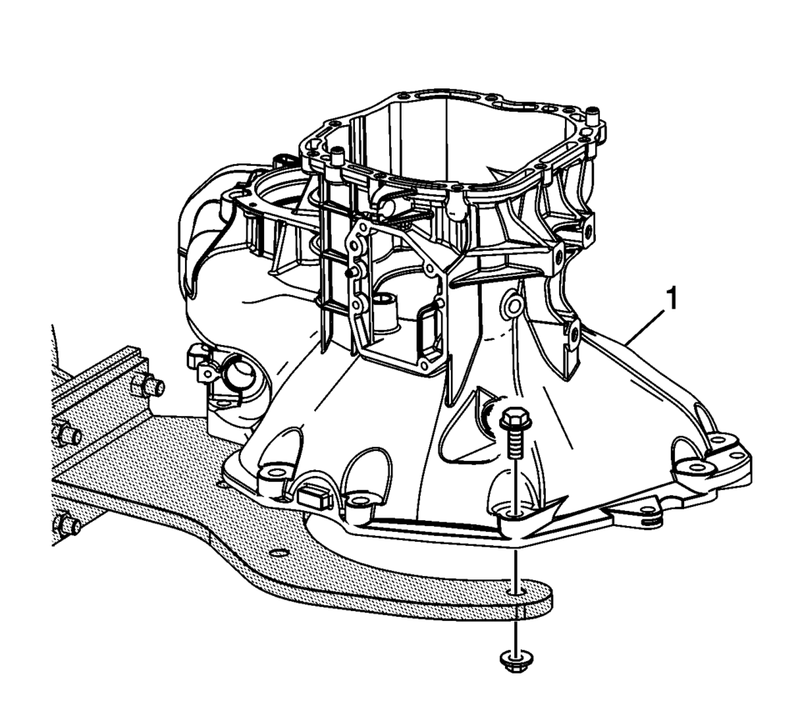 Remove the clutch and differential housing (1) from the R-0007758 holding fixture .